In celebration of the 25th anniversary release of Steve Vai's groundbreaking Passion and Warfare album a world tour is in progress, which included a stop at the Marathon Music Works in Nashville, Tennessee on November 19, 2016. The 14-track instrumental record is still highly regarded and has been certified Gold by the RIAA. The album was based on a series of dreams melding spacy and spiritual elements. It is still out of this world all these years later. As part of the Passion and Warfare Tour Steve along with his very capable band will be presenting the recording from start to finish. 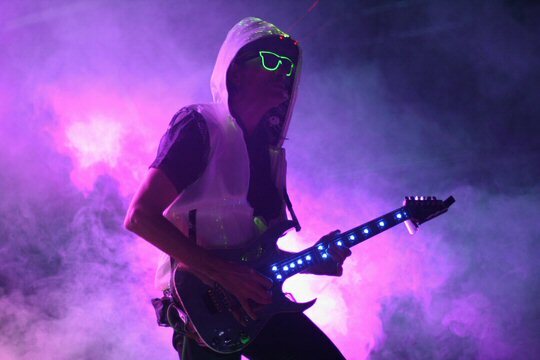 Steve Vai and band were vying for attention all night in Nashville. "Performing this record from top to bottom (with some very special surprises in the works) is something I've always dreamed of doing," Vai said. "There are songs here I've never performed before, and I'm delighted that 25 years after its release, I feel as though my guitar chops are as much up to the task as ever before." The tour features a unique premium package: the Passion and Warfare EVO Experience, where among other things fans will have an opportunity to sit with Steve in an intimate Q&A session. A limited number of EVO Experience tickets will be available for each show. Steve Vai is a composer, producer, singer, songwriter but first and foremost a master of the six string. Vai was voted the 10th "Greatest Guitarist" by Guitar World Magazine. Steve has sold millions of records and has three Grammys. 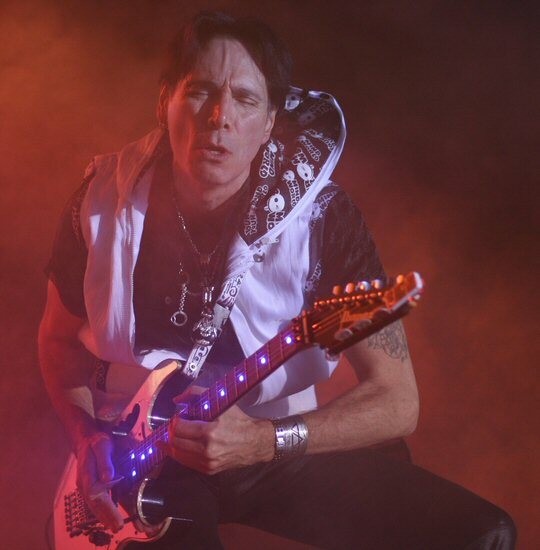 In addition to a successful solo career Vai has worked with Alcatrazz, Frank Zappa, Ozzy Osborne, Whitesnake and more. Steve is well respected among his peers as a pioneering player but also as a stellar showman in the live setting. "For me, the real gravy is when I hear a strange or beautiful sound in my head and then make it real in the world using the devices I have as a musician," says Vai. "The things that have never been done before are what interest me most." When the show starts like this you know you're in for a good night. Lighting and videos were used to full effect throughout the concert starting with a blazing and heavy "Bad Horsie" where Steve made a dramatic entrance in a spaceman like costume with laser lights emanating from his head. Vai slipped out of the suit for "The Crying Machine" and "Gravity Storm" which featured a call and response section with the crowd. As one would expect the instrumentals were intense and inventive. The paced slowed a bit for "Tender Surrender" a warm textured piece packed with nuanced tricks of the guitar trade. Steve Vai - picture perfect and noteworthy in Music City. A little later Joe Satriani appeared. His portion featured video tricks that at one point turned him into an alien. We always thought that Joe and Steve were from another planet and this clip proves it. John Petrucci of Dream Theater exchanged leads with Steve as did Tommy Emmanuel a master of fingerstyle guitar who was the only guest to play an acoustic. The album closed with a passionate and potent "Love Secrets". Again color, effects and videos enhanced Vai's already vibrant presentation. The late Frank Zappa joined Steve and his talented team for Zappa's "Stevie's Spanking." They concluded with a compelling "Fire Garden Suite IV - Taurus Bulbaan" the encore found Vai out in the crowd completing his voodoo for the night. Twenty-five years after the release of Passion and Warfare which cemented Steve's solo career Vai shows no signs of slowing down. The PAW tour took off in May of 2016 right after Steve's Generation Axe assault on the senses. They played much of Europe before returning to the states and Music City to present this still amazing album. 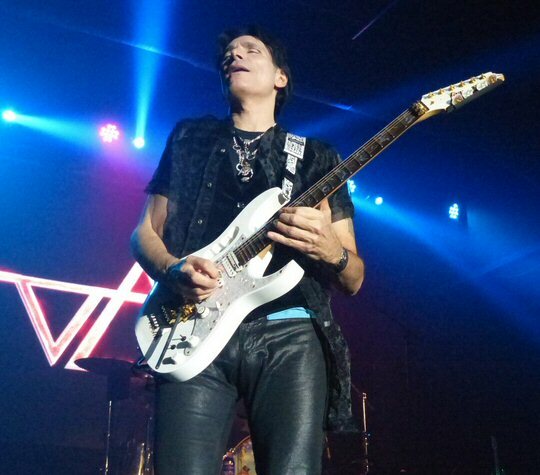 Steve Vai presented a bombastic and passionate night of music on Clinton Street. 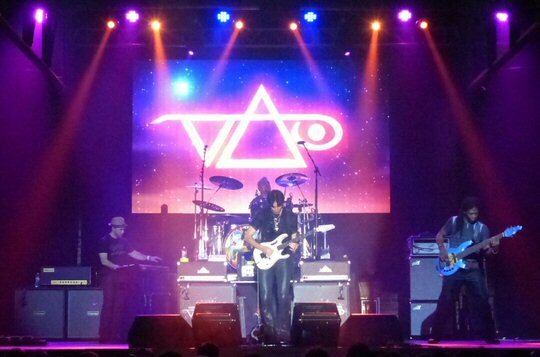 Opening for Steve Vai was Jay Roberts with Ben Lacy. The two talented guitarists played a quick but impressive set of jazz infused tunes that included a Michael Jackson medley. Marathon Music Works in Nashville is located at Marathon Village a unique multi-use community of retail businesses and shops. Marathon Music Works is an industrial chic warehouse that has been restored and is ready to be adapted for special events and concerts such as Steve Vai. 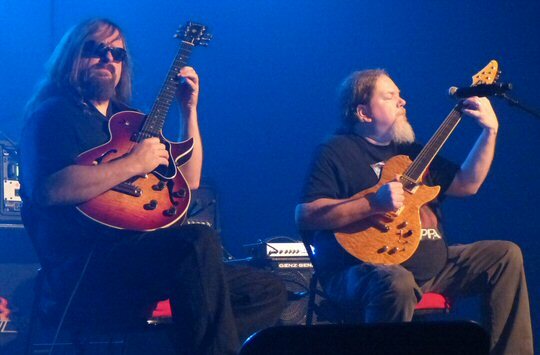 Openers Ben Lacy and Jay Roberts set a jazzy tone for the space rock to come.